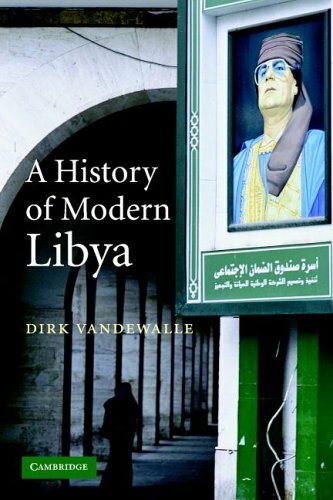 This is a concise history of modern Libya, with token background from the Ottoman period, slightly more detail from the Italian colonial period, and the vast majority of its focus on the monarchy (1951-1969) and the Qadhafi period (1969 to present).The author deals almost exclusively with political and economic history, with very little attention to cultural or religious themes. Even on such limited terms, the book fails in a number of ways.First, Vandewalle has an odd habit of not defining terms that a reader of such a general history might find useful.For example, he refers often to the Sublime Porte -- a term that a general student of the Middle East and especially of the Ottoman Empire ought to know, certainly, but probably not familiar to the general reader.Another example is the Bab al-Aziziyya, which the author defines on page 150, but which he began using on page 121 (without any hint that a definition was forthcoming). Second, and more importantly, the book lacks a surprising amount of detail.We are informed that a small group accomplished a coup against King Idris in September, 1969, but we are told almost nothing else: where did the coup happen?How did it happen?Perhaps a palace was stormed, or military installations seized?We are not even told of the fate of King Idris -- was he executed, banished, imprisoned, or left alone?These are all natural questions when dealing with something as momentous as the coup that changed Libya from a shaky kingdom to a radical, terrorist-sponsoring anti-state. We are informed that two Libyan planes were shot down over the Gulf of Sirt after some kind of dispute.What was the nature of the dispute?Again, we are not told.And very frequently, as with the Gulf of Sirt incident and the Lockerbie bombing, Vandewalle makes allusion to the matter long before offering what scant detail he does provide, meaning the reader must already have some basic background or be left with no means of evaluating the validity of the author's interpretation. As to that last point, another clear weakness of the book is that the footnotes are extremely sparse.Generalization is far more forgivable where the author directs the conscientious student to further information.That said, this book is a slim 206 pages of text -- the author easily could have added more helpful material without making the book unwieldly. One final, important weakness is that the author frequently jumps around chronologically, resulting in a confused narrative.Again, the author assumes too much familiarity on the part of the reader, which familiarity makes little sense given the scope of the book. EDIT: I recommend Libya: From Colony to Independence, by Ronald Bruce St. John, for readers interested in the subject. I thought the book would give a modern view of customs ,geography and archytecture of this country but it was'nt like this.Instead the political history is presented which by the way is written very well. I know quite a lot of this history as Libya was my second home for years but I feel a bit neglected when the book tells nothing about the people of this region. Libya has recently emerged from its diplomatic and economic isolation. It has settled its scores with the European Union and with the US. After some half-hearted attempts to liberalize its economy, it has now embarked in a genuine program of economic reforms, recruiting world experts to help in the effort. These international experts will be well inspired to read and meditate Dirk Vandewalle's History of Modern Libya. If only to learn the lessons from their predecessors: from its independence in 1951 to the end of the Sanusi monarchy in 1969, the country benefited from a wealth of advisory reports, background studies, and strategic plans originating from international financial agencies. At first, these reports projected the country's future as, at best, one of hard-scrabble survival and, perhaps eventually, a modest level of economic growth and development. This changed, literally almost overnight, when oil started coursing through the veins of a barely existing economy that could suddenly produce great riches. Oil revenues allowed King Idris al-Sanusi, and then Mu'ammar al-Qadhafi, to create and maintain social contracts with their subjects that relied overwhelmingly on distributing largesses rather on perfecting the state. This was partly to blame for the low sense of political community Libya still faces today, and for the depolitization of its citizen. Ever since 1969 - or perhaps more precisely since the publication of The Green Book - Libya has pursued a policyof statelessness that, at least in theory, puts all powers in the hand of the people. Ironically, as statelessness was pursued, virtually all economic activity within the country came under state control. The result was the emergence of a state that was seemingly highly autonomous, but without much regulatory capacity, exacerbated by an ideology that celebrated this hollowing-out of state power and regulatory capabilities while projecting a sense of community forits citizen that consistently targeted units below or above the state: kinship, family, tribe, Islam, Arab nationalism, African unity. In light of this history, the current wave of reforms is greeted by the author with cautious optimism: "While there are signs of pragmatism and of the realization among Libyan policymakers of the need for greater efficiency, there are few indications that the country's system of governance is changing or that a process of accountability is being implemented. (...) The remaining bifurcation between the formal and the informal in the country's political life, the amorphous status of Qadhafi within its political system, the inability to oppose the revolution, the lack of accountability by the country's security sector apparatuses, and the lack of clear succession rules: these challenges Libya will need to address if its proclaimed aims of reforms are to take root." 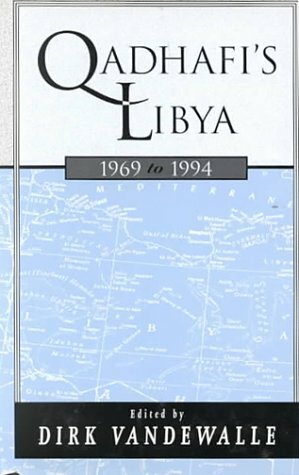 This edited volume provides the first fully comprehensive evaluation of Libya since the Qadhafi coup in 1969. 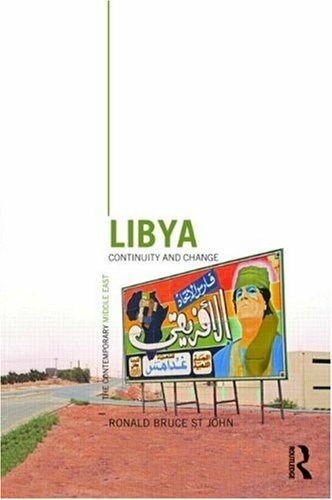 Throughout the different chapters the authors explore the rise of the military in Libya, the impact of its self-styled revolution on Libyan society and economy. I lived in Libya for two years and worked as a UNDP officer there.Having had first hand knowledge of this country I have found few books better than Vandewalle's Libya since Independence. Not only is it an informative text about Libya's socio-economic development it is also a study of the distributive State and the very negative consequences that oil wealth can generate if mishandled.Vandewalle deals with Libya since its independence in 1949 and the political, social and economic transformation that occurred from then to the present.The text notes that the regime that was established as a result of the 1969 revolution has made great efforts to distribute the wealth accumulated from oil production among the population while promoting large scale development projects in infrastructure, education and ISI industrial development.By far the largest single development effort has been the multi-billion dollar Great Man Made River (GMMR) project designed to facilitate irrigation for agricultural production along the Libyan coastline.According to the UNDP adequate standards of living have existed for the majority of the population as a result of an extensive program of welfare spending that has included the provision of state provided basic services and subsidies for many consumer products. Although significant, Libya's development, both before and after the Fatih Revolution, has been almost entirely patronized by the state.Whereas the government intervened in all sectors of the economy, including import and distribution, there has recently been an effort to transfer some of that responsibility to the private sector.The sharp decline of crude oil prices in the mid 1980's hurt the State's distributive capacity and made it necessary to curtail spending and adopt a measure of economic reforms to stimulate greater private sector involvement in the economy.However, the reforms have only effectively served to retract the distributive network welfare system of subsidies and services that had been one the Government's principal sources of legitimacy with the population, while economic liberalization has not contributed to the creation of a viable and productive private sector.The failure of these reforms has highlighted the institutional shortcomings of the regime that enacted them. We just used Libya since Independence in one of my middle east classes at NYU, and I just loved it.I never knew much about Libya except for what I read in the newspaper, and this was quite an eye opener.Deepened myinterest in the Middle East immeasurably.And the opening line--a Libyanproverb--is astonishing in its simplicity and farsightedness.Great book. A remarkable piece of work.Libya remains one of the countries in the Middle East we know little about, and Vanderwalle's account is one of the best ever.It pretty much replaces whatever has been written about thecountry during the last 10-15 years in most academic and popularpublications.It is scrupulously honest about Kaddafi's politics, andshows as no other previous account how the current Libyan leader extendedmany of his predecessor's policies.Well written and accessible, despitesomewhat a somewhat daunting theoretical chapter.A definitive analysis ofLibya since independence. 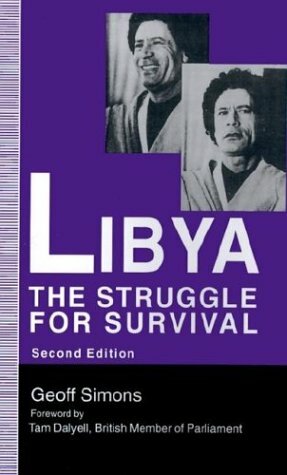 An amazingly comprehensive and insightful study of Libya since 1951.Goes far beyond all the hyberbolic statements the Kaddafi regime AND the United States government have made over the years by systematically putting theLibyan political experimentation in the context of Third World development. Judicious and careful, Vandewalle's access to Libya has produced what isperhaps the best book on this difficult subject in this decade.A realcontribution to the study of Libya and to middle eastern studies ingeneral. Best book on Libya in a decade--THE definitive analysis! "At once steeped in detailed contextual knowledge and fully engaged with basic theoretical issues, Lisa Anderson's fine book can serve as an inspiration and a model for all who would push the analysis of state building in relation to social structure well beyond the European settings in which such processes have traditionally been studied. 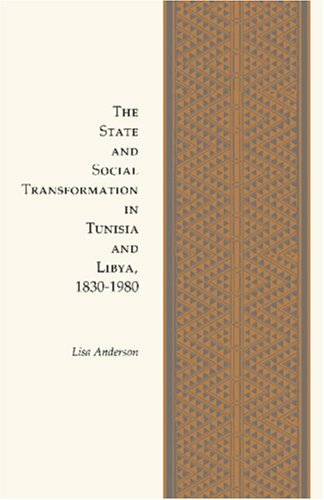 Doing comparative history at its best, Anderson uses a close comparison of Tunisia and Libya to arrive at analytic arguments sure to suggest fruitful leads to students of state formation in many areas of the world." Moving beyond existing Eurocentric theories of state building, this work examines the role of state formation and disintegration in shaping social structure and political organization in Tunisia and Libya between 1830 and 1980. "... an important book. Extensive research has gone into it. Scholars will treasure it. Nonspecialists who tackle it in the hope of learning more about Libya and Tunisia will not be disappointed." "The most recent book on Libya with a broad historic sense and a deep understanding of the subject." 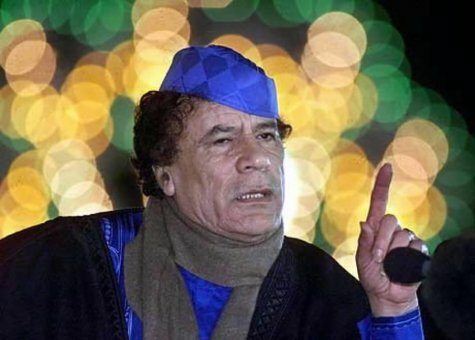 "The accidents of history and geology ... have allowed one contemporary ruler [Qaddafi] to indulge at once the fundamentalist fantasy of direct theocracy and the populist fantasy of direct democracy. The spectacle is not an appealing one. But we must take note of its emergence, and be grateful for the light that Lisa Anderson has cast upon it." This digital document is an article from APS Review Downstream Trends, published by Pam Stein/Input Solutions on July 23, 2001. The length of the article is 795 words. The page length shown above is based on a typical 300-word page. The article is delivered in HTML format and is available in your Amazon.com Digital Locker immediately after purchase. You can view it with any web browser. Title: LIBYA - The Government. This digital document is an article from APS Review Downstream Trends, published by Arab Press Service on July 27, 2009. The length of the article is 1245 words. The page length shown above is based on a typical 300-word page. The article is delivered in HTML format and is available immediately after purchase. You can view it with any web browser. Title: Libya - Government & Qadhafi Family Interests. This digital document is an article from APS Review Downstream Trends, published by Thomson Gale on July 23, 2007. The length of the article is 2927 words. The page length shown above is based on a typical 300-word page. The article is delivered in HTML format and is available in your Amazon.com Digital Locker immediately after purchase. You can view it with any web browser. by Omar I. El-Fathaly, etc. 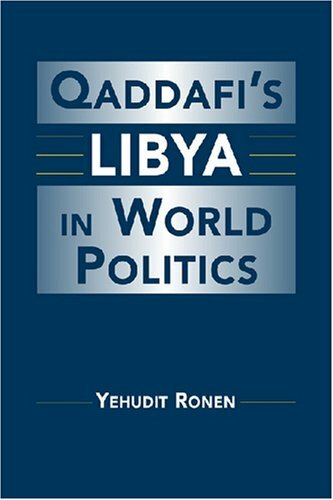 This book describes the principal events which have shaped contemporary Libya, from independence to the Lockerbie affair. 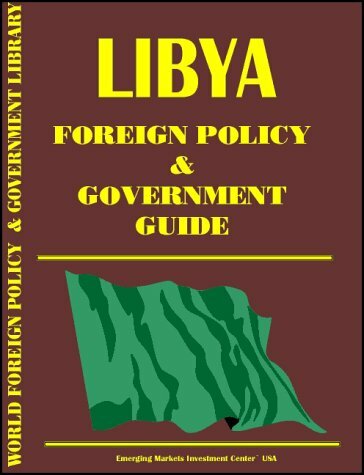 It reviews Libya's independence process, its territorial disputes with neighbors, the many abuses of human rights perpetrated by the Qadhafi regime, state terrorism and the US manipulation of the United Nations in its confrontation with Libya. 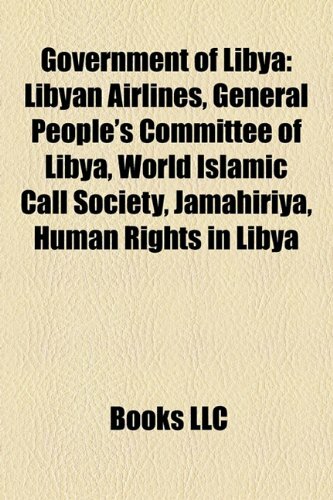 This book examines the socioeconomic and political development of Libya from earliest times to the present, concentrating in particular on the four decades of revolutionary rule which began in 1969. Focusing on the twin themes of continuity and change, Ronald Bruce St John emphasises the full extent to which the revolutionary government has distorted the depth and breadth of the post-1969 revolution by stressing policy change at the expense of policy continuity. the redefinition of the state after 1999. Highlighting the issues facing the contemporary state and providing possible solutions, this book will be an important text for students of current affairs, history, North Africa and the Middle East. Although much attention has been paid to the more spectacular exploits of the Libyan government and its leader, Mutammar al-Quadhafi, the internal politics of the country remain largely unexplored. 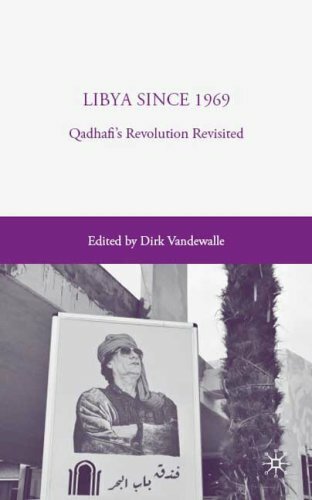 In this volume editor Dirk Vandewalle has assembled a group of scholars who have been studying the political and socioeconomic progress of the Libyan government since Quadhafi assumed power in 1969. 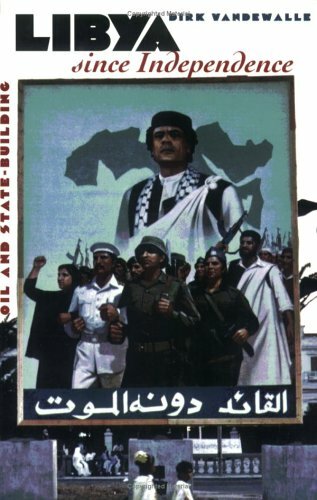 By paying particular attention to the contradictions between the regime's rhetoric and the day-to-day reality of life in Libya, the picture that emerges is one colored by the tensions and inconsistencies that exist between the aspirations of this self-styled revolutionary state and its complete dependence on the international economy to survive. The availability of massive oil revenues has allowed the Quadhafi government to engage in an experiment of popular management of the country's political and economic structures. Unfortunately, this governmental experiment is unlikely to outlive the Libyan leader. Through the work of these scholars who have spent a considerable amount of time working in Libya, the internal workings of the Quadhafi government are viewed in a new light and the future of the country is seen more clearly. 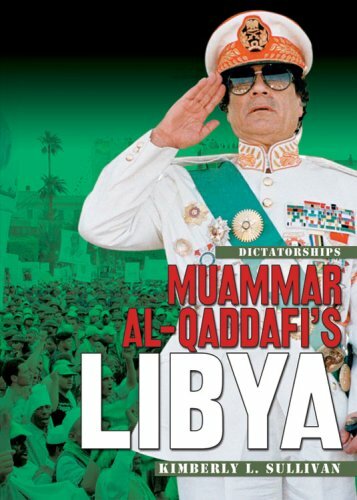 Quadhafi's Libya, 1969-1994 is a fresh and enlightening look at this highly volatile country and its charismatic leader. Qadafhi's`revolution' has been protected from any adverse public outrage. Differences of opinion with the regime wouldn't be acceptable until proof had been offered. The Coup was not harmful to the outgoing politicians clutching at any straw for they were not, in the first place, fully committed to the deposed King Idris al-Senussi. The best beneficiary was Gamal Addul Nasser, who after `his' 1967 defeat (Arab/Israeli War of June 67), Nasser showed understanding and sympathy with the young `free officers' in Libya and never withheld his consent when the Coup was a fait accompli. Actually, the Libyan Coup had been a mirror image of Nasser and his colleagues seventeen years before. Many, in the Arab world, believed that Nasser concocted the Coup whereas it came mainly by the nearest chance. King Idris was on vacation in Turkey (perhaps for medical treatment), when he was deposed in bloodless Coup. The second `blood free' in the Arab World in an Arab country located in Africa. A few days adter the Coup, Nasser sent his emissaries to Libya to meet, for the first time, the new leaders and they came back to Egypt and boosted Nasser's shattered morals that `they are your men Rayyess'[Leader]. History will record that, without his knowledge, Nasser inspired the young Libyan officers. "He reminds me of my youth" Nasser spoke of Qadafhi to his confidant Hassanein Heikal. Nasser's example of a `clean' Coup in Egypt was 'copied' in Tripoli and this may well have combined to save many lives in Libya.